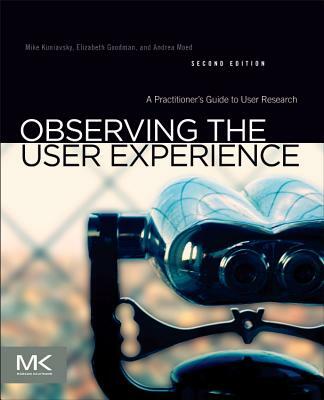 Observing the User Experience: A Practitioner's Guide to User Research aims to bridge the gap between what digital companies think they know about their users and the actual user experience. Individuals engaged in digital product and service development often fail to conduct user research. The book presents concepts and techniques to provide an understanding of how people experience products and services. The techniques are drawn from the worlds of human-computer interaction, marketing, and social sciences. The book is organized into three parts. Part I discusses the benefits of end-user research and the ways it fits into the development of useful, desirable, and successful products. Part II presents techniques for understanding people's needs, desires, and abilities. Part III explains the communication and application of research results. It suggests ways to sell companies and explains how user-centered design can make companies more efficient and profitable. This book is meant for people involved with their products' user experience, including program managers, designers, marketing managers, information architects, programmers, consultants, and investors.